Amber / Zhong Cheng Ye. 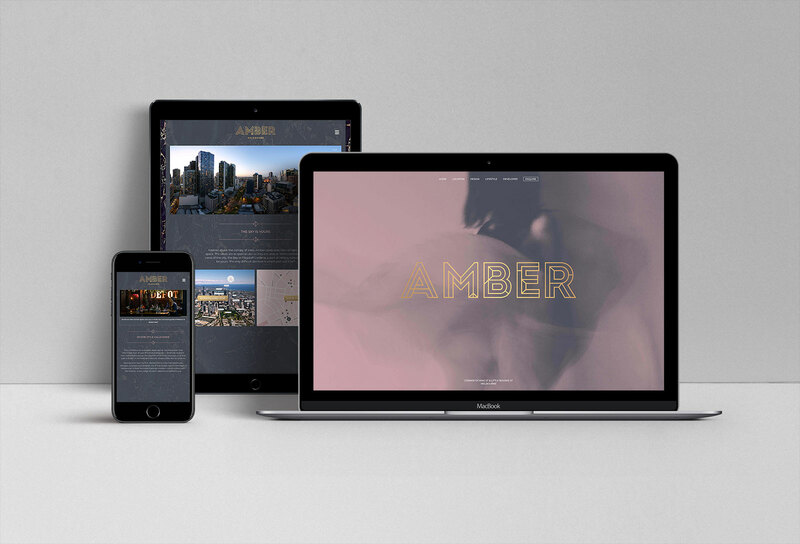 In late 2017, Vive Group was briefed to create a compelling name and brand identity for a residential development targeting professionals working in Melbourne’s CBD. Soaring 26 levels from the 1860’s bluestone façade of the Great Western Hotel, the DKO designed building contains 64 one and two-bedroom apartments at the corner of King and Little Bourke Streets. Vive Group named the development Amber, which acknowledges the original building on the site and references the superb views of the night and morning sky. A sophisticated yet approachable brand identity was developed that referenced high-end contemporary lifestyle and destination brands. The brand roll-out includes signage and hoardings, agent’s books, website and project brochure. Vive Group also managed and directed the on-location photo shoot.